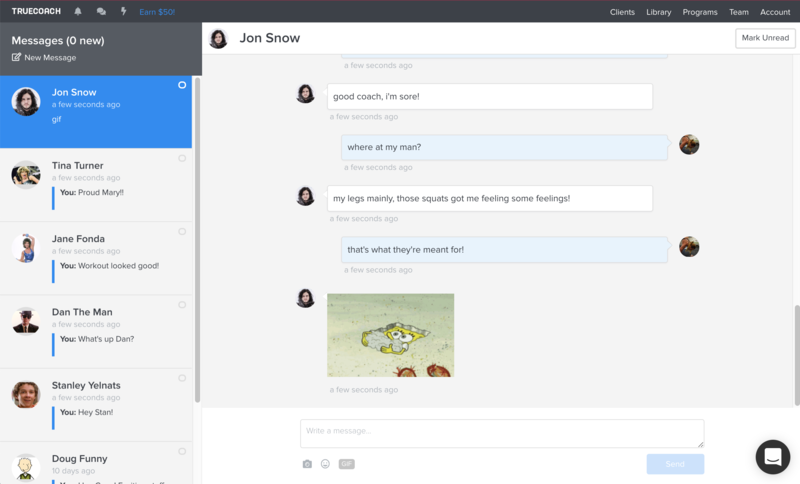 The messenger allows you to communicate with your clients right from TrueCoach, keeping everything in one spot. You can click the message icon in the top left, select new message, and select a client. See below. You can click the ⋯ icon next to the client's name on the dashboard. See below. 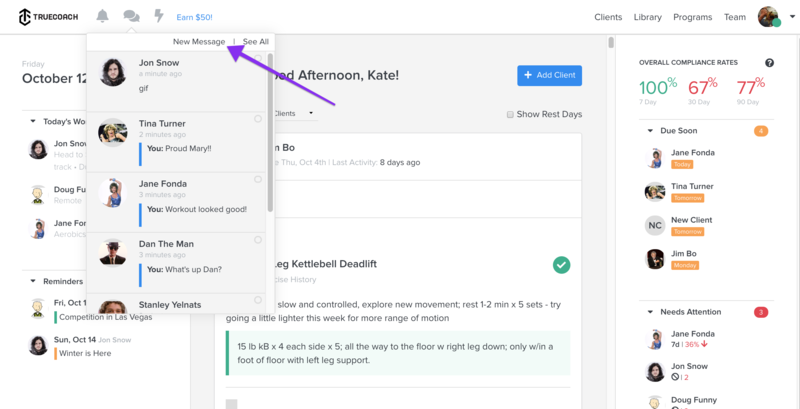 You can click the message icon while you're in the workout builder. See below. 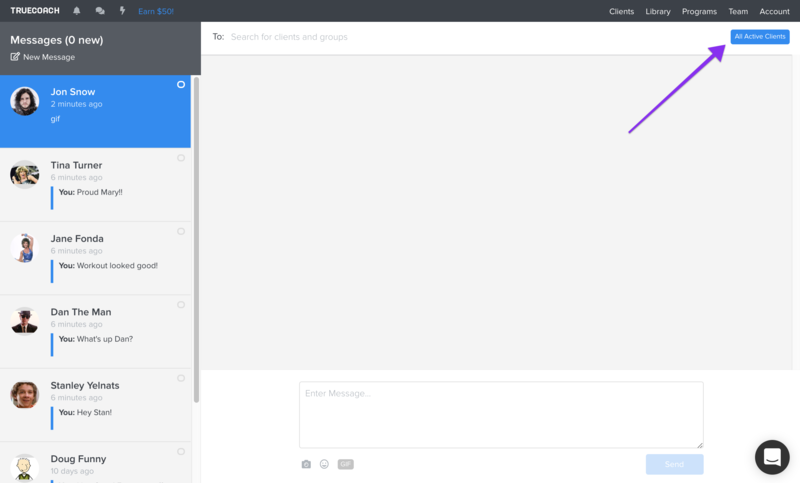 Each of these options launches the messenger and allows you to communicate with your client. 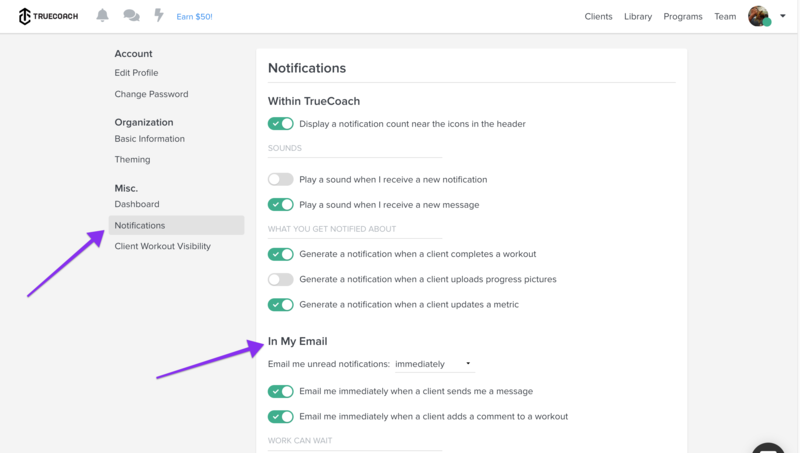 If your client isn't logged into TrueCoach, they'll receive an email with the text of the message. Broadcasts are messages that you can send to all of your active clients simultaneously. 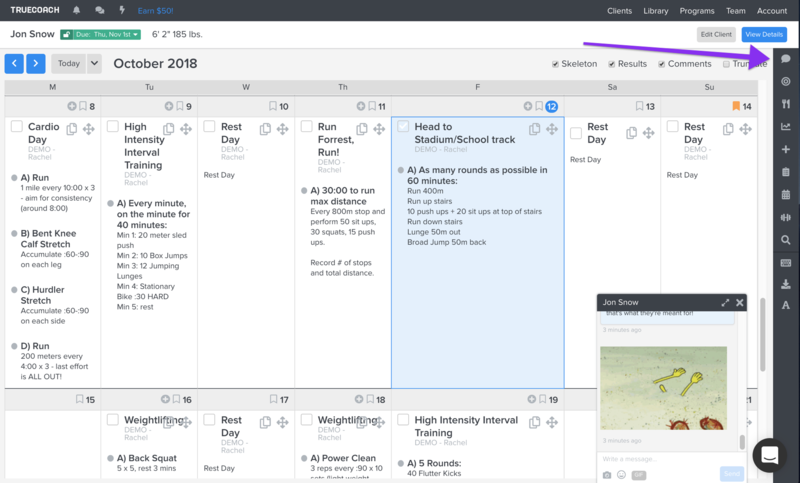 These are great for things like requesting holiday schedules from your clients ahead of time, sharing a new blog post, or announcing changes to your facility hours. When a client receives a broadcast or group message they won't see who else receive the message and they'll be able to respond directly to you if they have any questions. You'll receive all new messages in the Message icon in the top left portion of the screen. You can also turn on email notifications for new messages here by hovering over your photo in the top right corner, clicking settings, clicking notifications.